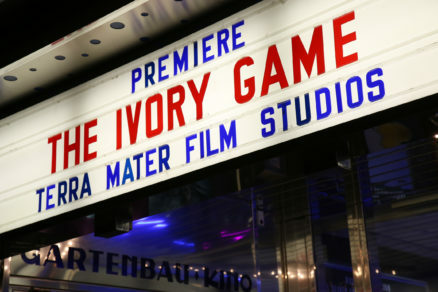 November 2016: Thursday, Nov 03rd, 2016 saw more than 700 guests at a fully booked Gartenbaukino Wien for the Austrian premiere of ‘The Ivory Game’. “Every fifteen minutes, an elephant dies because someone wants to get hold of its ivory”, the evening was opened with a rather unpleasant message leading to calculations that, should humanity continue at this speed, within the next fifteen years elephants will have become a thing of the past. 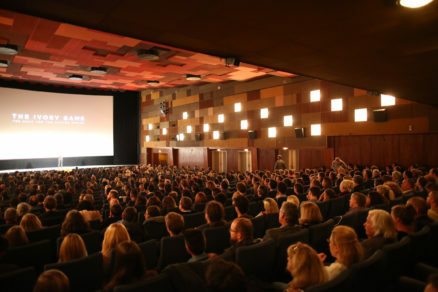 Famous British primatologist Jane Goodall, a strong supporter of the cause and film herself, also sent introductory greetings to the Gartenbaukino audience. 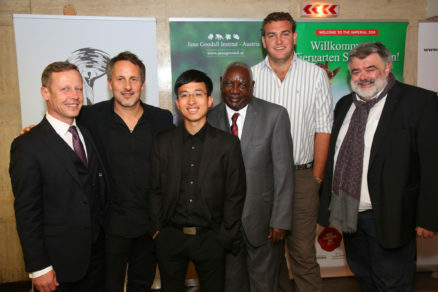 Director Richard Ladkani, CEO of Terra Mater Factual Studios/Film Studios Walter Köhler, and three of the main protagonists of the thrilling documentary feature, Elisifa Ngowi (Head of Intelligence, The Task Force (NTSCIU), Tanzania) Craig Millar (Head of Security, Big Life Foundation, Kenya) and Hongxiang Huong (Chinese activist, investigative journalist, China) found themselves in the centre of attention of numerous journalist teams ahead of the premiere, as well as on the podium for a lively discussion round afterwards. Meant to leave a lasting impression, the film already is available globally on Netflix. For the big-screen-experience, Burg Kino Wien is offering exclusive screening dates for one week only. This multi-awarded gripping feature-documentary of Terra Mater Factual Studios has been directed by Richard Ladkani and Kief Davidson. It was produced with Paul Allen’s Vulcan Productions, Malaika Pictures, Leonardo DiCaprio’s Appian Way and Netflix. 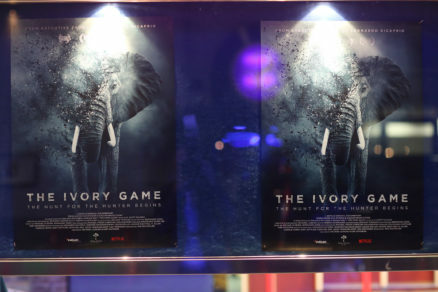 Not only was the movie in this year’s official selection at TIFF and Telluride 2016, but it has already won the Golden Panda and the Theatrical Award at Bristol’s Wildscreen Festival, but it is one of the official considerations for the 2017 Academy Awards in the category of Best Documentary Feature.